…another inspiring evening of networking, drinking and thought provoking talks about the cryptocurrency revolution. Eric Larchevêque, CEO of Ledger will be here from Paris to present the Ledger hardware wallet contained on a USB. This month’s keynote will be given by Peter Kirby president and founder of Factom.org, from Austin, Texas. Peter will explain how Bitcoin is much more than just money, how the technology can be used to protect and verify information. 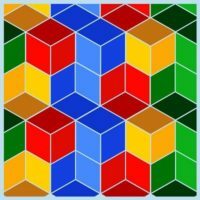 The Dutch Bitcoin Foundation will also conduct one of its periodic polls. Please attend to let your voice be counted and heard. To round off the evening there is the usual opportunity to meet at the bar for a round of drinks to discuss the evenings events and to network with the Dutch digital currency enthousiasts. 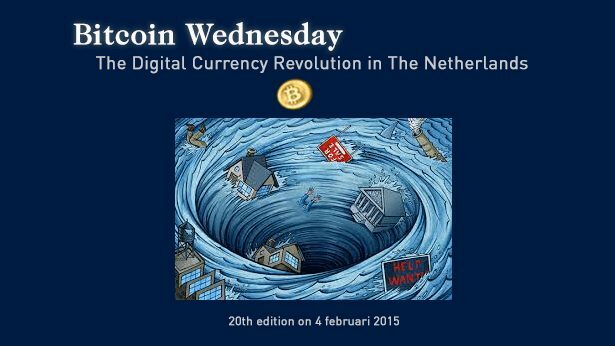 Bitcoin Wednesday is a relaxed and accessible event at which anyone who has interest in digital currencies or the related technologies can meet other like-minded professionals, and exchange ideas in an informal atmosphere. Make a note in your calendar to meet with us on Wednesday at 18:45. The program begins at 19:00, but we gather a little earlier in the cafe downstairs (at 18:30) for an early evening borrel.